Specialist support services led by and for women are suffering due to cuts and competition. Sarah Green, director of the End Violence Against Women Coalition, said: “Ending violence against women and girls has been a key pillar of Boris Johnson’s Mayoralty since 2008 and it is essential that we see this work continue. “London’s Mayor must hold the police to account for their work policing these crimes, and ensure that the victims money from central Government is well spent on support services. 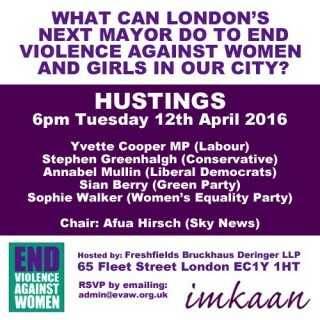 “The Mayor must also be prepared to lead and influence London’s boroughs on the way they respond to abuse, and be willing to shine a spotlight on critical problems including the alarming levels of sexual violence facing girls in the capital, and the way the housing crisis is impacting women and their families who need to escape abuse. And Marai Larasi, the executive director of Imkaan, said: “Our top priorities are to see London’s next Mayor committed to ensuring that the women-led services, including those led by BME women, which literally save lives, are supported to remain open and that the police keep up with the surge in survivors of abuse seeking protection and justice. “We need London’s next Mayor to make this a personal priority by maintaining and developing the work started by Boris Johnson. “We have a good Violence Against Women and Girls Strategy and we want this to be strengthened. “We want London’s Mayor to be willing to speak out on issues, such as sexual harassment, that are too often ignored or wrapped up with blaming the victim. 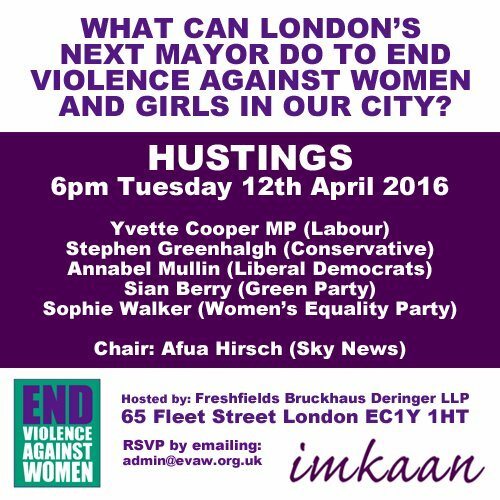 “London’s Mayor has significant policing, planning and spending power on violence against women and girls and can choose to make this a top priority,” she added.